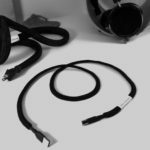 The Endorphin Digital Ribbon interconnects are the result of many years of refining a signal transfer device to meet the specific requirements of a headphone listening system and are the purist way to transfer an audio signal from component to component. The combination of a specialized proprietary ribbon conductive formula, micro-thin dielectric and the extensive proprietary electro-chemical treatments, result in a signal transfer device that reveal the true sonic content of the music in a natural/orgainic and detailed fashion. Construction: 2/3-conductor ultra-thin/pure proprietary ribbon hybrid conducting surface. The Endorphin interconnects incorporates proprietary contact enhanced professional Switchcraft connectors which transfer the audio signal in the purest fashion due to their synergy with our extensive treatment procedures. The Endorphin IC is assembled with our special handcrafted process which uses the absolute minimum amount of non-conductive material for optimum headphone system performance. 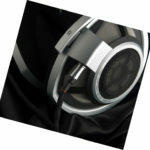 Sonic Performance: used in conjunction with the Endorphin High-End headphone cable the user can expect a rich, natural over all improvement in the full audio Endorphin with excellent soundstage characteristics. 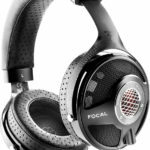 Specific headphone performance will elevate revealing a deeper, punchier bass, more organic midrange and true natural upper frequencies specifically noticeable in vocal performance. In addition, a further Increase in definition and presents will bring the user close association with the impact of the music.